Looking for a great unique gift? 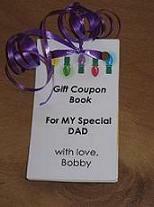 Homemade gift coupons are your perfect gift! 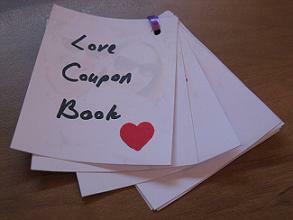 Homemade coupon book is fun and easy to make, it costs almost nothing, you can use it for pretty much any occasion and – it's a wonderful way to show your appreciation. 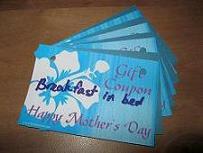 homemade gift coupons section in the "Find Me a Gift" service - browse for ideas or pop your own question.